One of the most important steps in the home selling process is staging your home to highlight the strengths, downplay any weaknesses and appeal to the greatest number of potential buyers. This part of the home selling process is often overlooked, but it definitely pays to stage the house before putting it on the market. After all, when you put your home on the market, the goal is to sell it fast and for the most money possible. One of the most important steps in staging the home, yet one of the most difficult for a lot of sellers, is depersonalizing the home. Depersonalizing can be one of the most emotional stages of the home selling process. 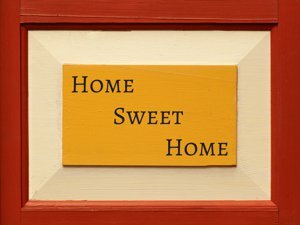 Our homes are filled with memories, accomplishments, and personal items that are valuable to you and your family. Prepare yourself emotionally then follow these tips to depersonalize your home and make it more desirable to potential buyers. Look At Your Home Through The ‘Eyes Of A Buyer’ – When potential buyers walk through your house they want to be able to see themselves living there so the better you stage your home, the better chance you will have of achieving your goal of selling fast and for top dollar. Before you put your home on the market, go around the house and consider removing anything that would take a potential buyer’s attention away from visualizing themselves living in your home. Making this your first step will make the entire process easier and a lot less stressful. Remove Personal and Family Photos – Most of us have pictures of family and friends, vacations, and other memorable events all around the house. Photos are a huge distraction to potential buyers. Almost every time I show a house with a lot of pictures the buyers eyes are drawn to the pictures rather than paying attention to the advantages and benefits of your home. Pack Away Artwork and Collectibles – We typically decorate our homes according to our style and preferences, but when you are trying to sell your home, you don’t want your personality to stand out and be the focal point. Most homeowners display some personal collectibles… These could be artwork, mounting of stuffed animals, posters, collectible items picked up through the years, or a host of other things. When selling your home, artwork and other accessories should enhance the room and help tie it all together. Consider Your Color Preferences – Although you may not consider paint and carpet colors a part of the depersonalization process, the colors you choose are personal to you and what you like. Your daughter may love her pink bedroom but potential buyers may not care for the color and may see it as a project that will cost them time and money. Painting the room a neutral color before putting it on the market will appeal to a greater number of potential buyers who look at your home and will normally pay off with a faster sale for more money. Put All Personal Items Away – There are many items we use on a daily basis that we normally leave out knowing we will use them again very soon. The majority of these things we never notice, but rest assured, potential buyers will. Walk through your bathroom and hide all the things you use on a daily basis such as soap and shampoo, toothbrushes and toothpaste, makeup, hair brushes, bath towels, or anything else you see laying around. Put away the kid’s toys, all dirty dishes, laundry, and anything else that may take the buyers attention away from where it needs to be… On Your Home!